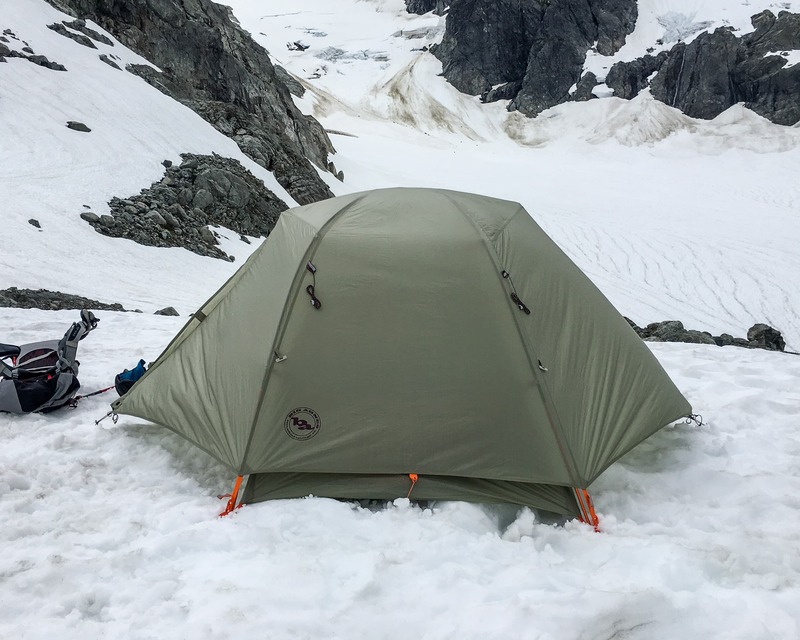 While Deuter makes several winter packs in the mid-size range we chose to review the Freerider Pro 30. 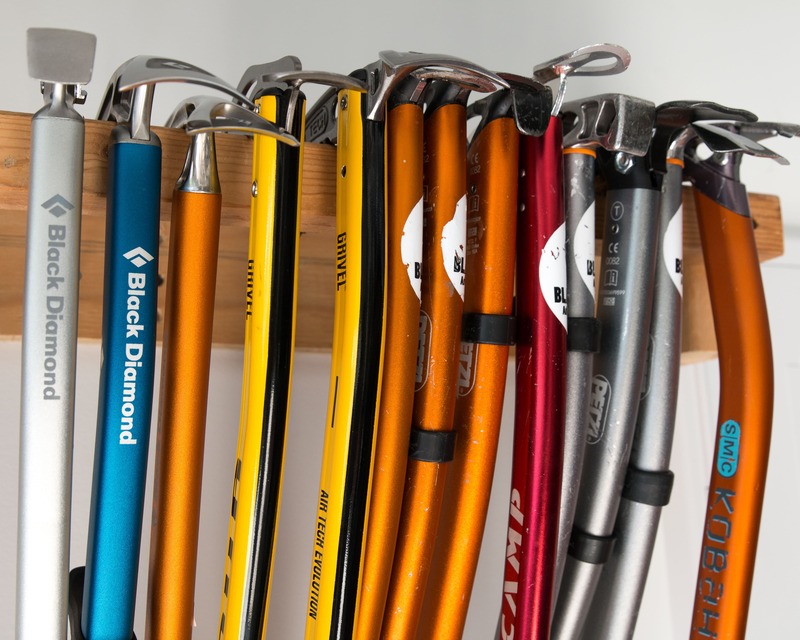 Designed as a versatile ski touring pack I felt it more relevant than some of the other ski guide or race inspired offerings. 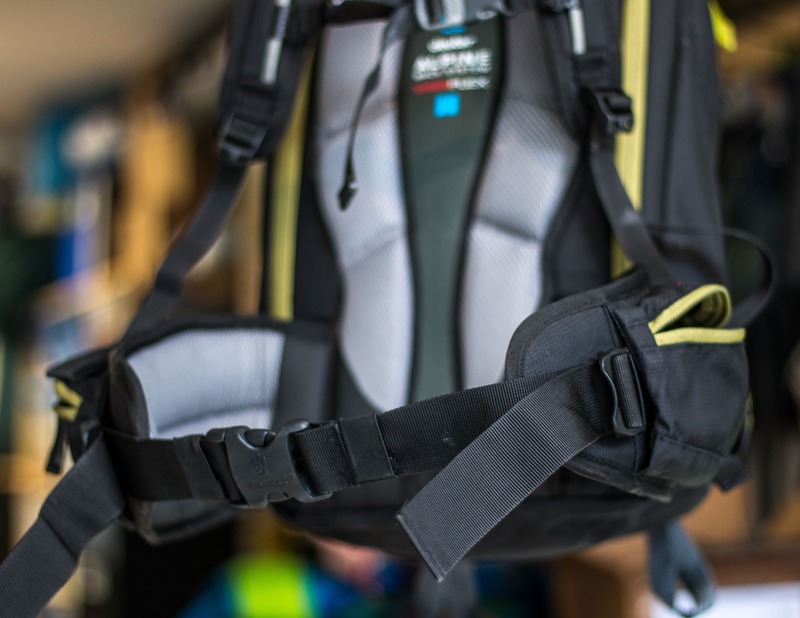 The main compartment of the Freerider Pro 30 has two separate access points, through a zipper on the top of the pack and via the back panel. 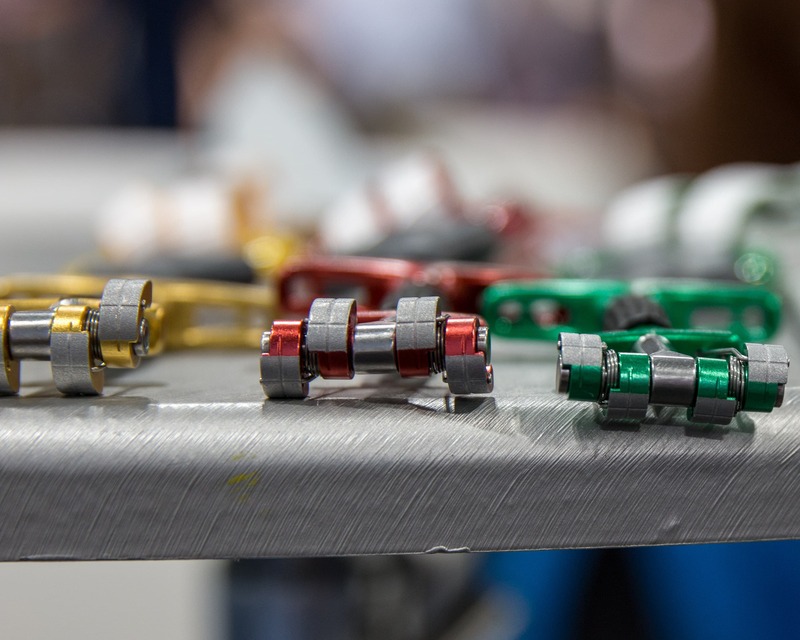 To open the top of the pack the side compression straps must be unclipped or they restrict how far the zipper can be pulled. The back panel provides great access as the entire main compartment as it can be laid open and has the side benefit of keeping the back panel from getting snowy and wet. 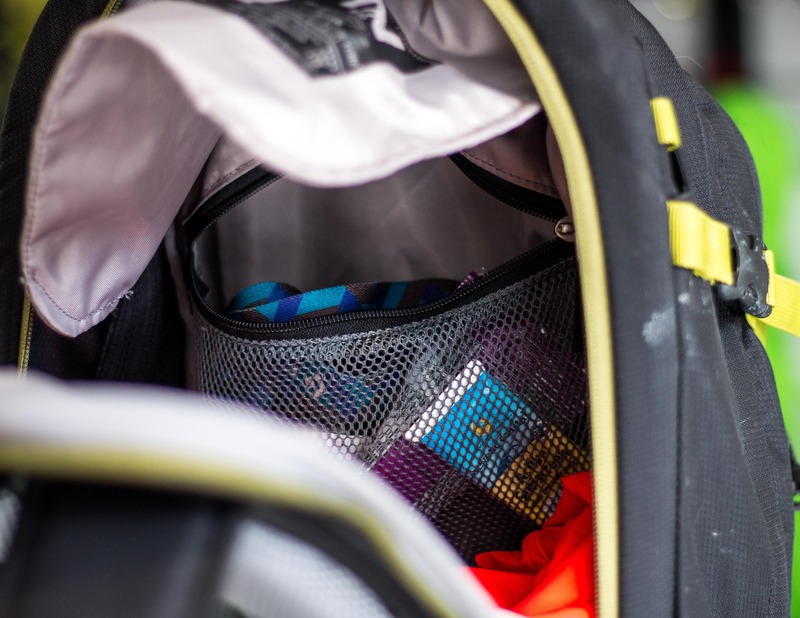 The combination of the pack panel and top zipper access really allow the space in the Freerider Pro to be maximized. I liked to fill the pack with all my gear through the back panel then stuff my puffy in through the top. This made it easy to access the puffy whenever I stopped and maximized room in the pack. 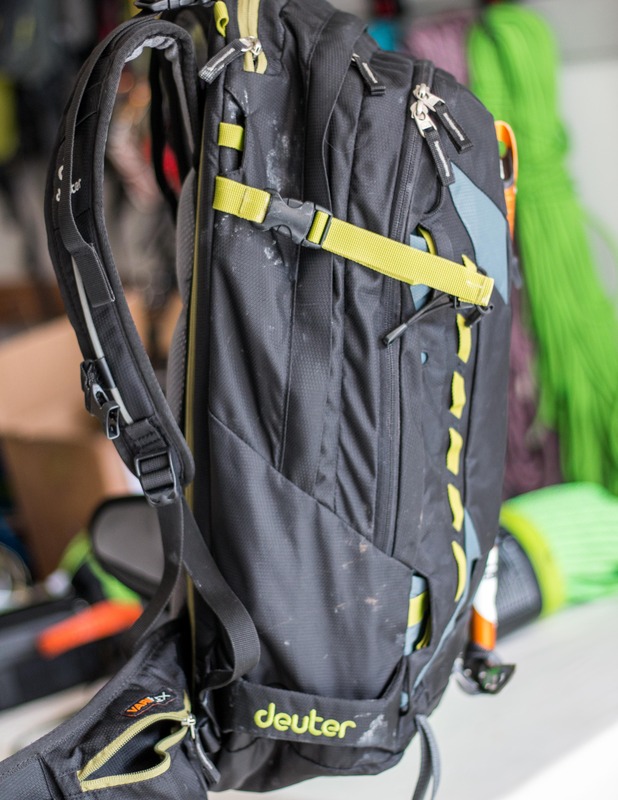 The center zippers access the main compartment while the top zipper is for the goggle pocket and the bottom zipper accessed the avalanche kit compartment. 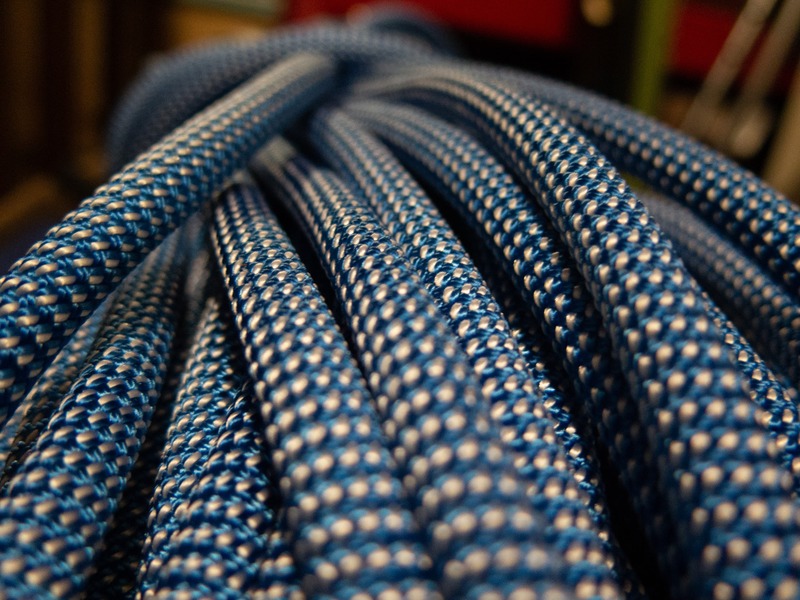 Backpanel access. 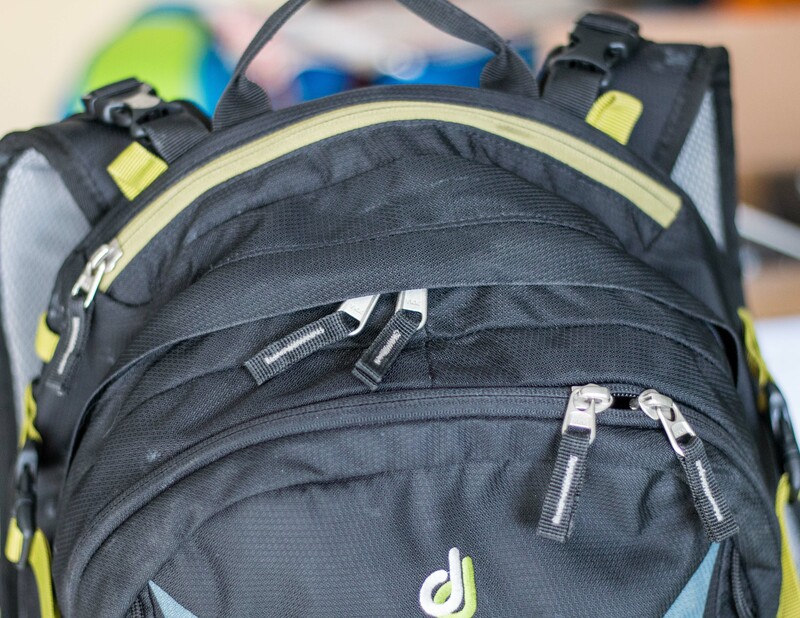 The shoulder straps have to be unclipped before it can be unzipped. The snowsafety kit compartment at the back of the pack is large and fits a shovel, probe, saw and skins without issue. Unfortunately to access this compartment the side compression straps first have to unclipped. Annoying in every-day use as it requires an extra step but potentially a time waster in an emergency as well. 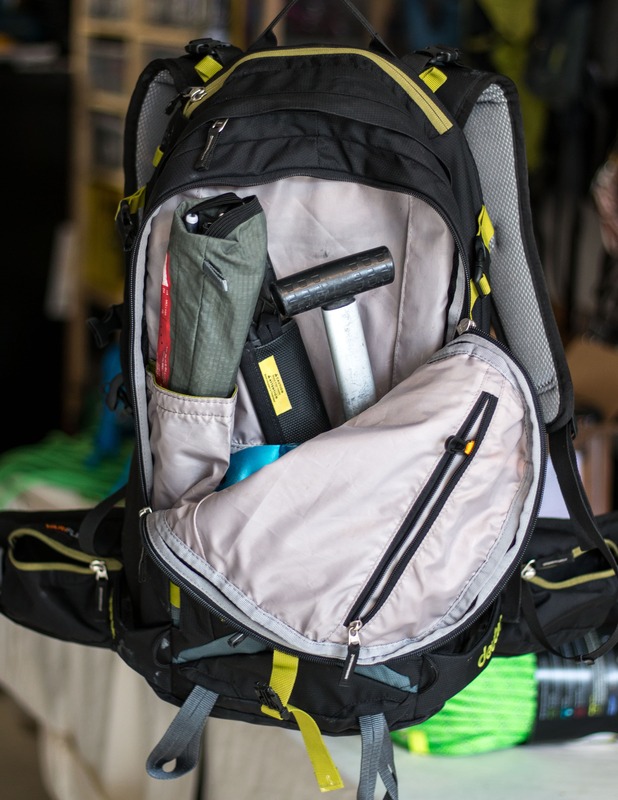 The Freerider Pro has a functional assortment of pockets though I found one hard to get to. 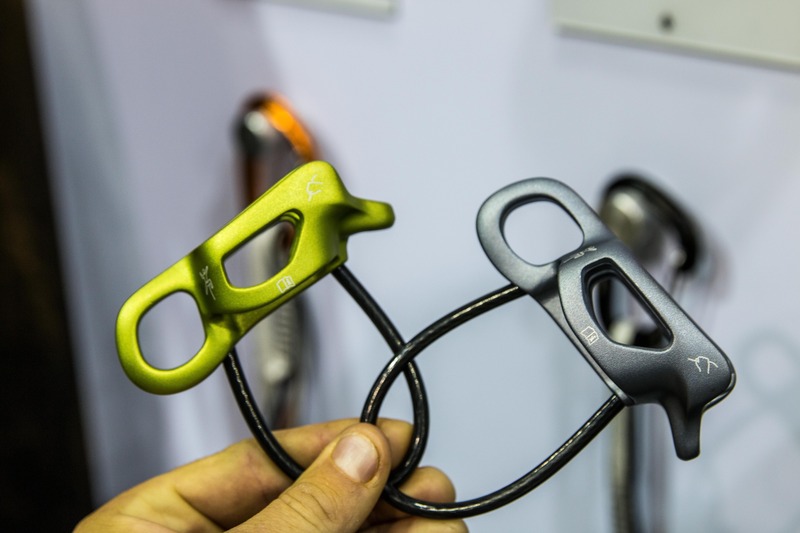 Starting at the top, there’s a goggle pocket that’s accessed through an external zipper. 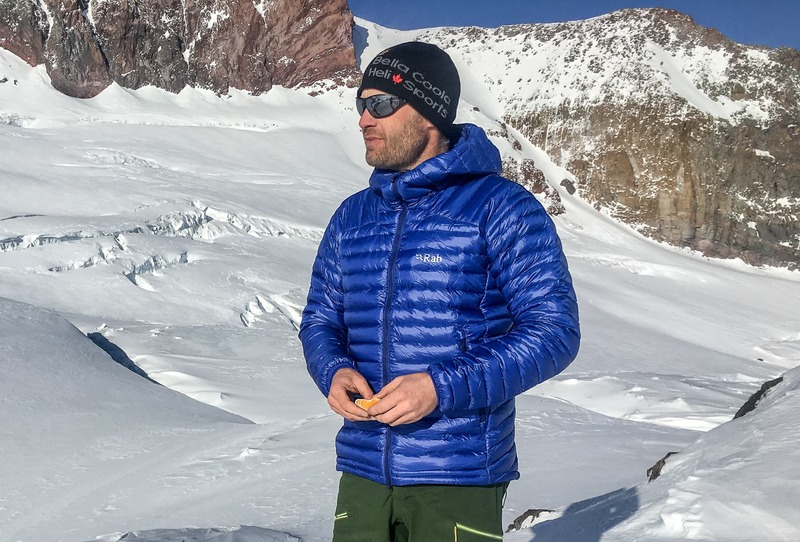 There’s also 2 small accessory pockets, similar to the Kamber: One’s found in the avalanche equipment area and is great for wet gear and snow science equipment. There’s also a small pocket in the main area of the pack though it can be difficult to access. 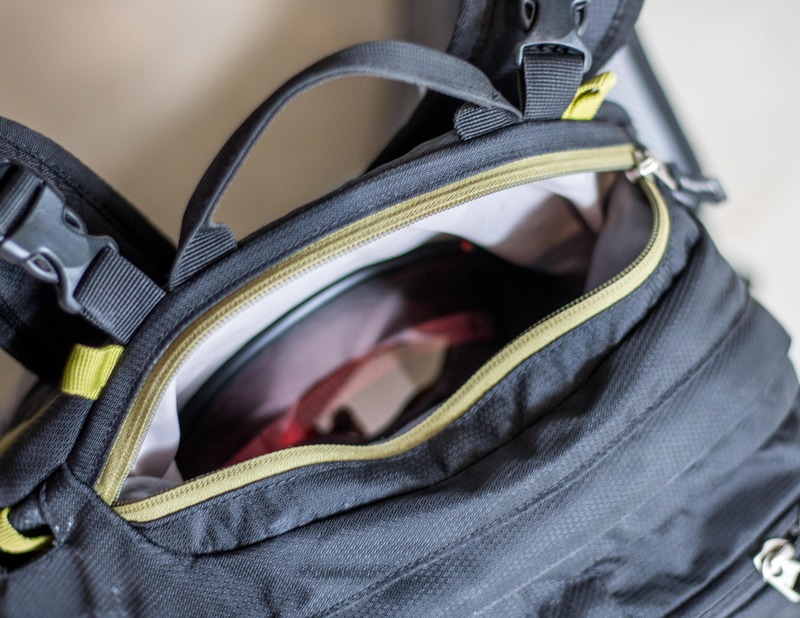 Located just inside the top access point the pocket area is often compressed when the pack is full and the goggle pocket is being used. There are also dual hip belt pockets and a hydration sleeve along the back-panel. The hard-to-access pocket in the main compartment. The google pocket is empty and being held out of the way for this photo. 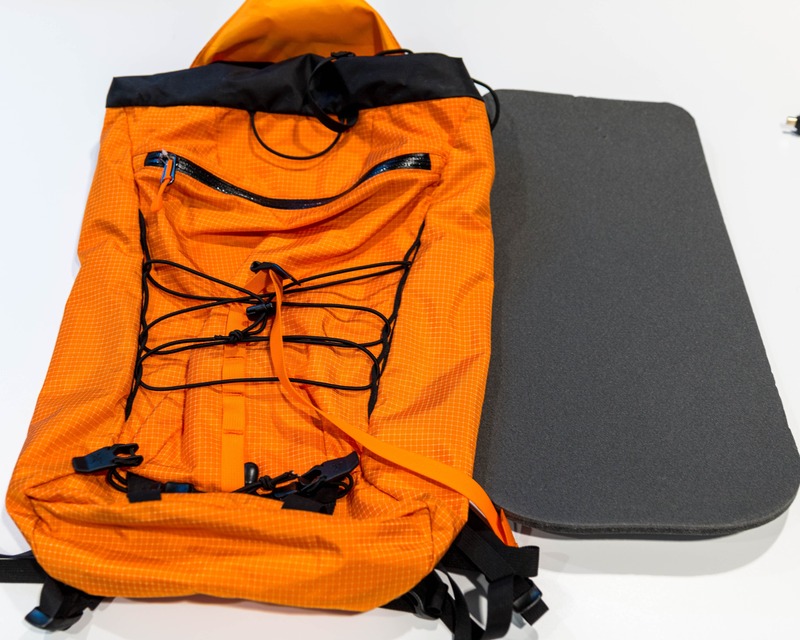 There are numerous features on this pack making it quite versatile though of course it does add weight. 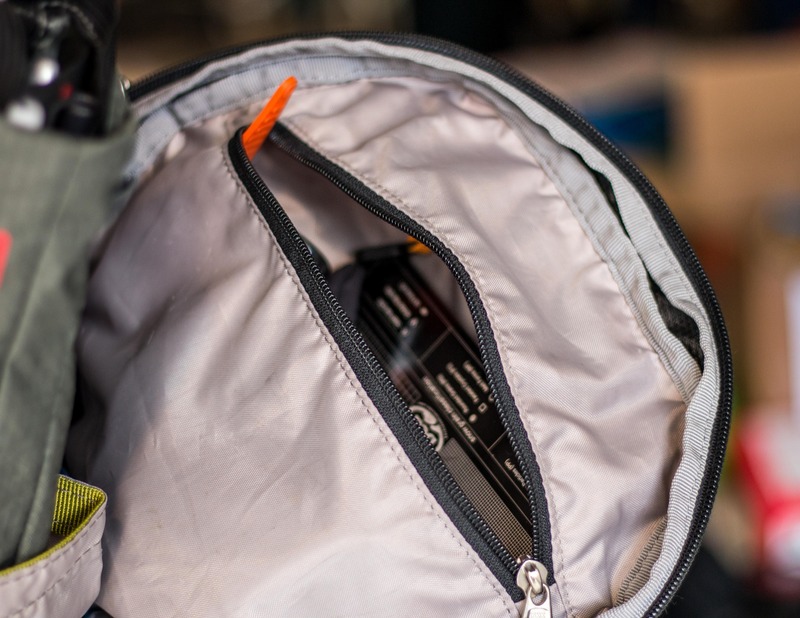 I really like that most of them pack away so the Freerider Pro doesn’t have a cluttered look. To start it has a removable helmet bra. Personally I would prefer if it was attached so I didn’t have to stuff it somewhere each lap or risk losing it but it does work well. 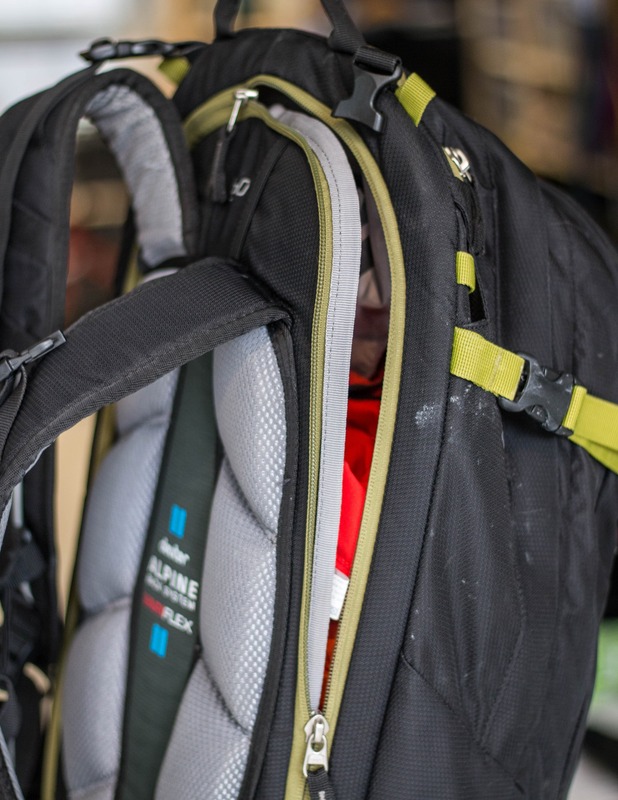 The side compression straps double as part of the A-Frame ski carry system. 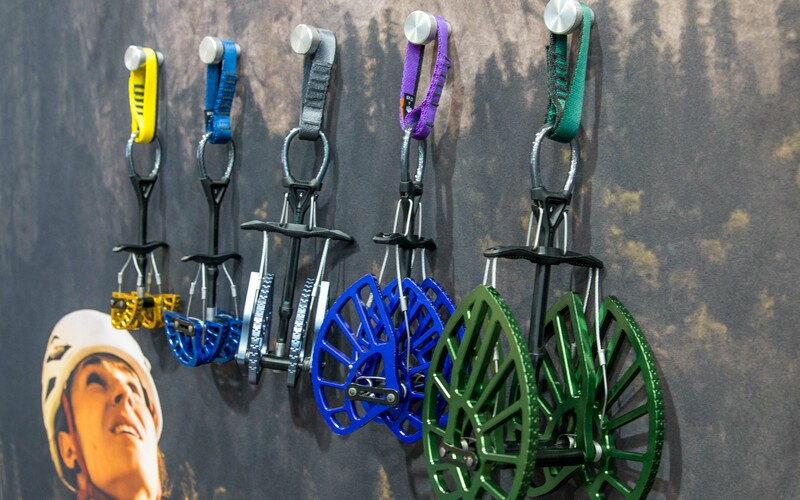 Stowable straps are also provided on the back of the Freerider to allow for a diagonal ski carry, vertical snowboard carry or to attached snowshoes, etc. 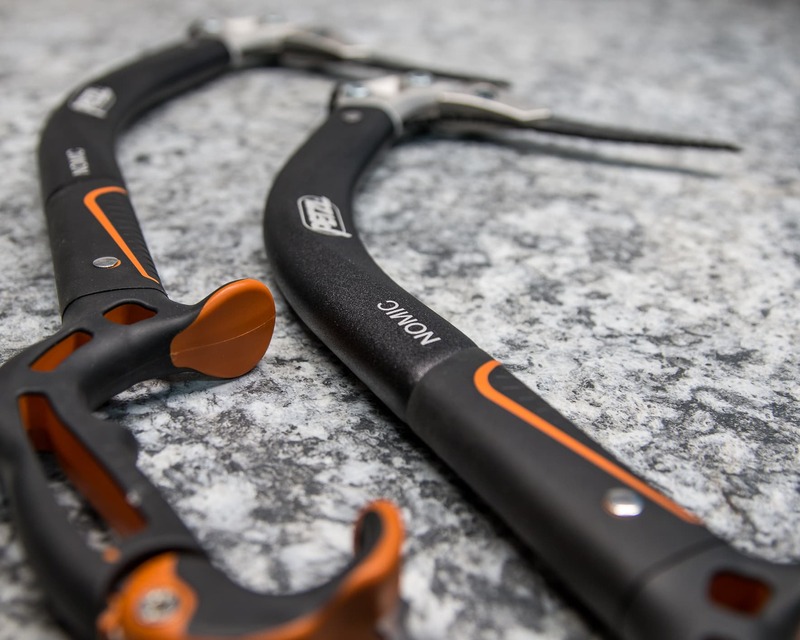 Dual adjustable ice axe attachment points are also located on the back of the ski pack. Lastly, the foam packpad is removable to make a warm seat though I just sit on the pack. 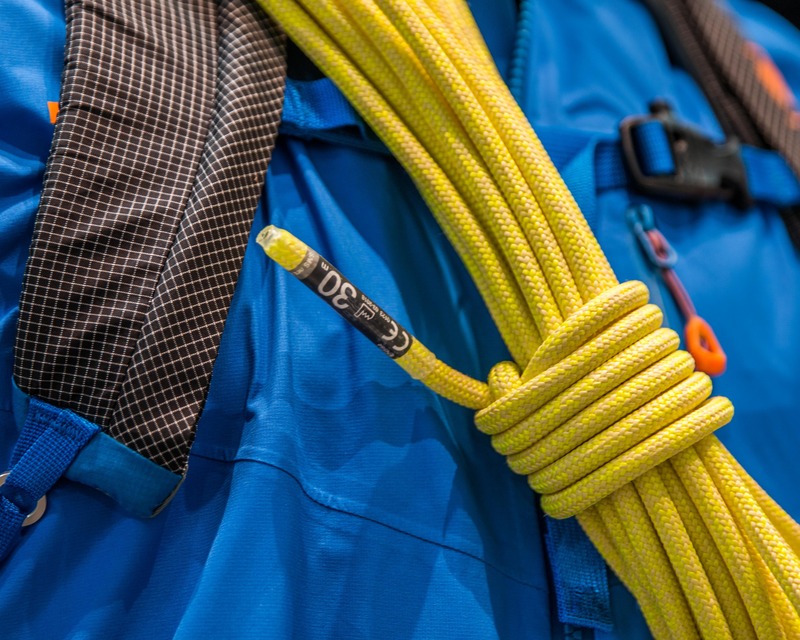 Side compression strap / A-frame ski carry straps. 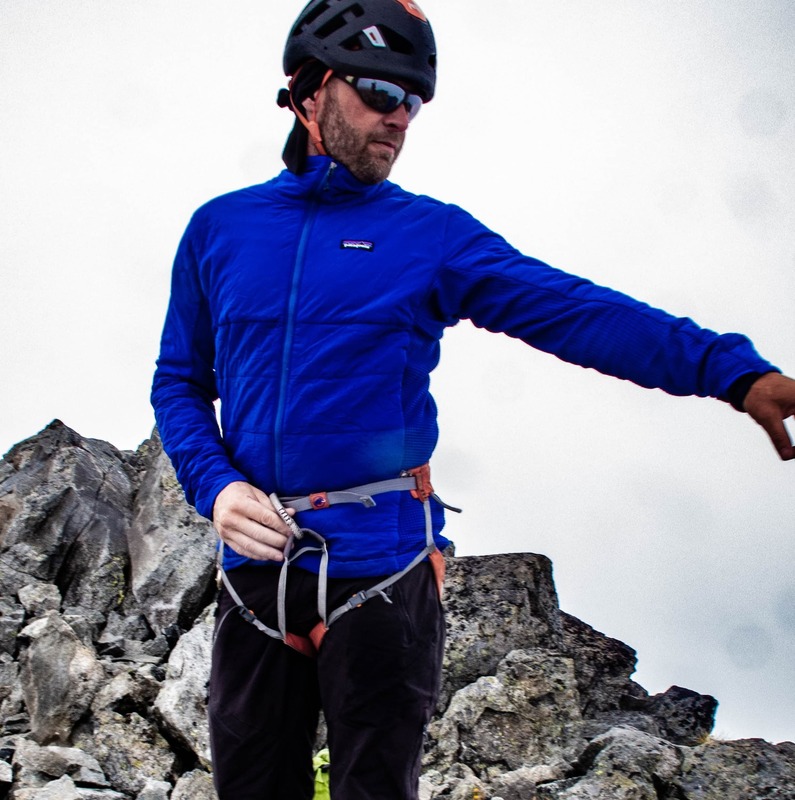 The Freerider Pro 30 comes in one size with Deuter’s Alpine suspension system and a heavily padded waist belt. I found the adjustment straps suitable to customizing the fit to my 5’-10” frame but I can’t attest to how it will work on people with long or short torsos. 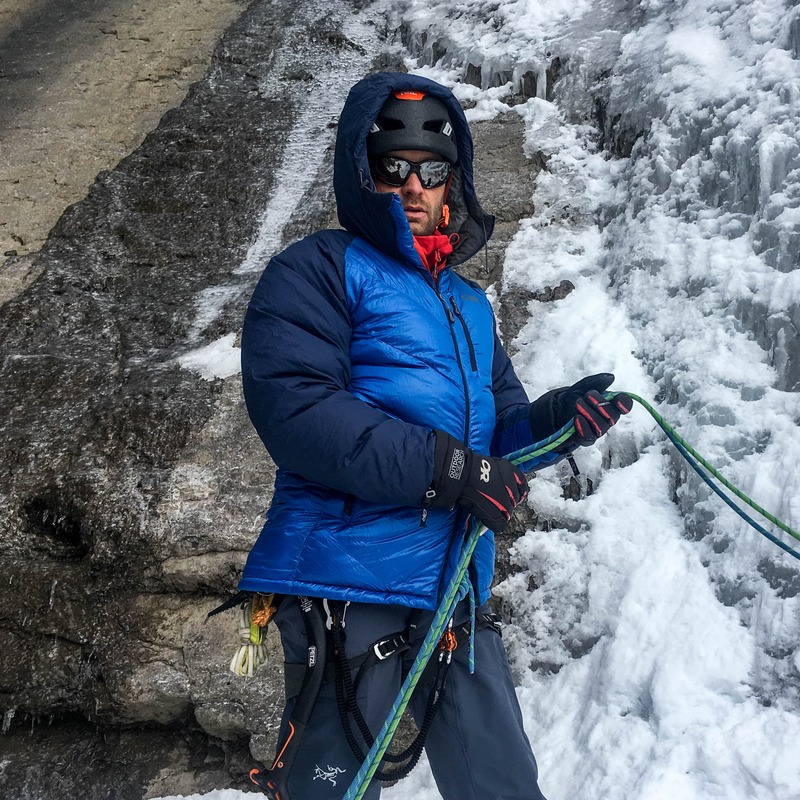 The pivoting Vari-Flex waist belt is tightened by pulling forward and, when combined with the suspension system, keeps that pack snug and secure when skiing. 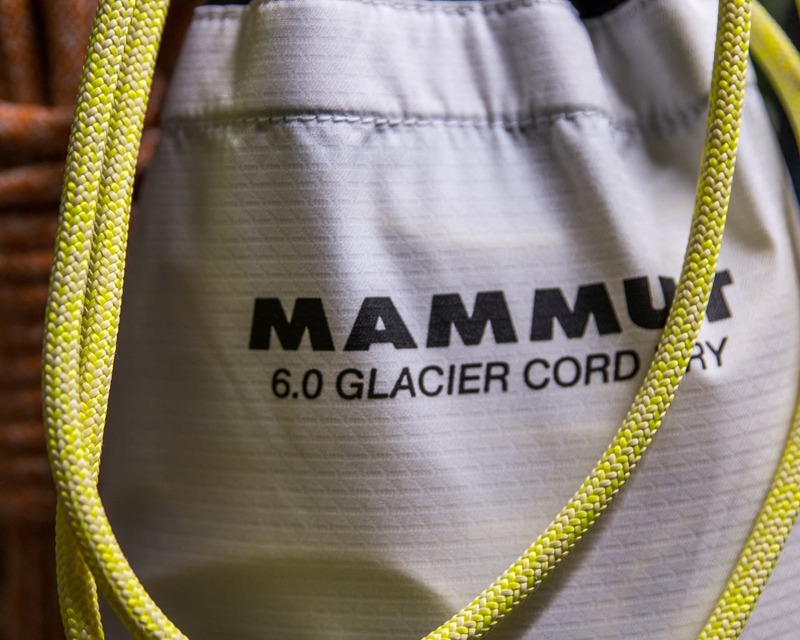 The waist belt is also removable allowing the pack to fit nicely over a harness for ski mountaineering and glacier travel. Pros: Large, comfortable, helmet attachment system, versatile. 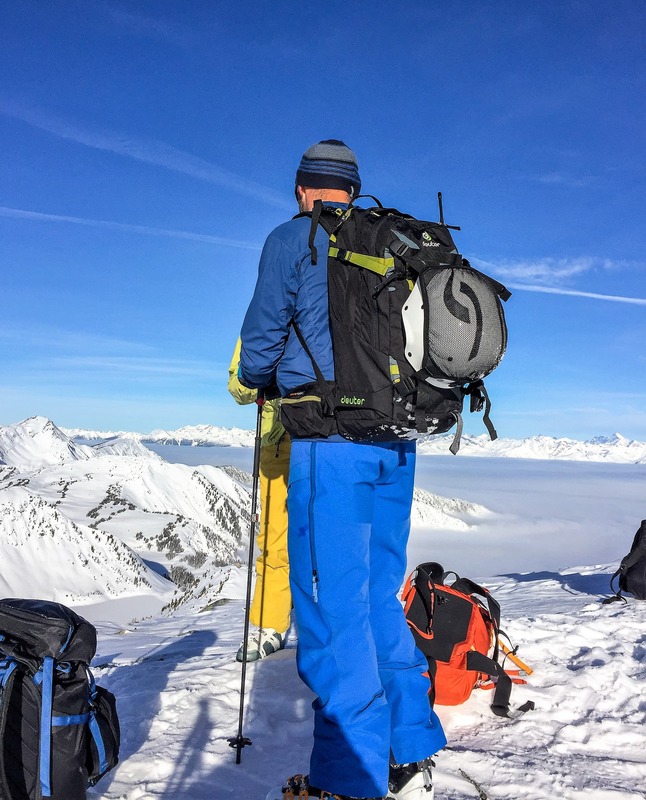 Overall: A fully featured ski/snowboard/snowshoe pack that fits a ton of gear despite the modest advertised size. 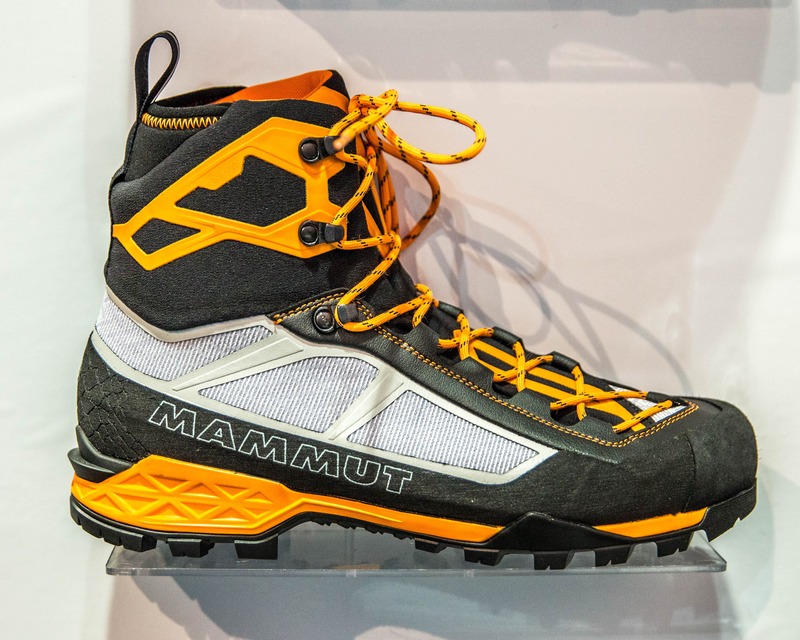 A great option for ski mountaineering, touring and short ski traverses. I was provided a test sample but of course this didn’t influence my review in any way.